For almost a century, big-time college athletics has been a wildly popular but consistently problematic part of American higher education. The challenges it poses to traditional academic values have been recognized from the start, but they have grown more ominous in recent decades, as cable television has become ubiquitous, commercial opportunities have proliferated, and athletic budgets have ballooned. 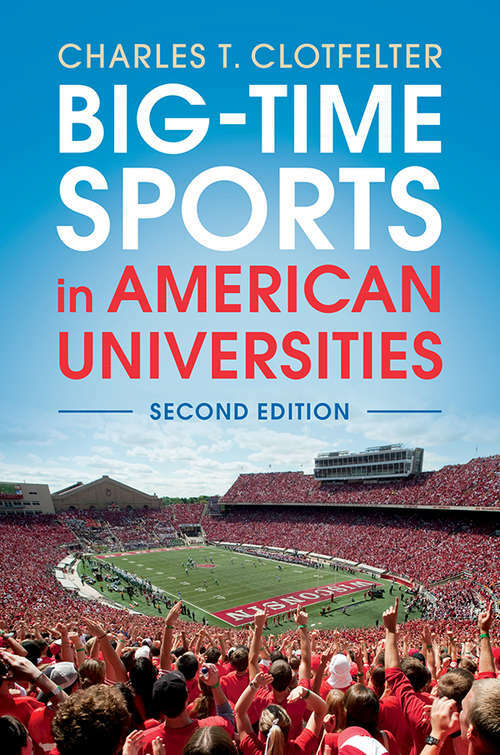 In the second edition of his influential book Big-Time Sports in American Universities, Clotfelter continues to examine the role of athletics in American universities, building on his argument that commercial sports have become a core function of the universities that engage in them. Drawing on recent scandals on large-scale college campuses and updates on several high-profile court cases, Clotfelter brings clear economic analysis to the variety of problems that sports raise for university and public policy, providing the basis for the continuation of constructive conversations about the value of big-time sports in higher education.